I’ve settled into a pretty good rhythm when it comes to putting together the Blood in the Rain anthologies. Because this is our third time around, Mary Trepanier (my co-editor) and I have developed a system for reading submissions and deciding which stories will go in the anthologies. This is the third year for Blood in the Rain. We originally wanted all the stories to be from writers in the Pacific Northwest–hence the title. We found that limited our resources tremendously. 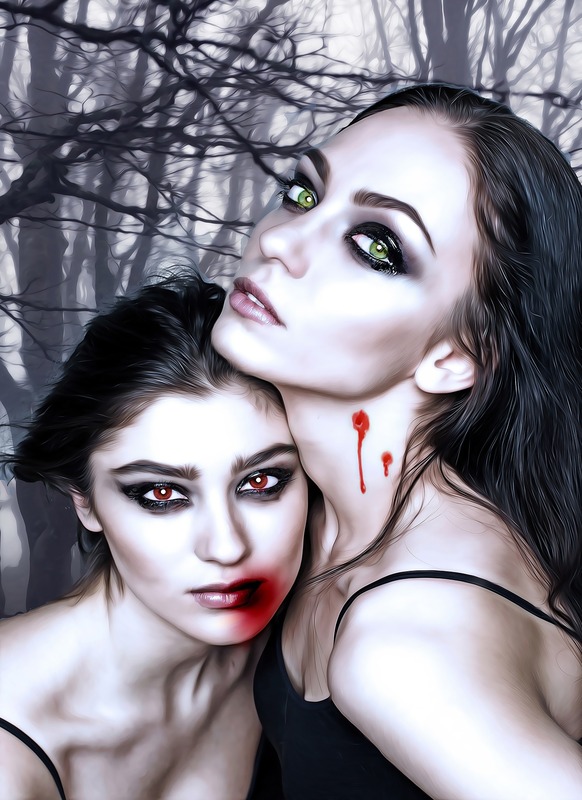 There may be be more writers per capita in Seattle, but not many are writing vampire erotica. We originally only had a handful of entries. After realizing we needed more stories, we widened our scope considerably. While we still rank NW writers a little heavier than others, we’ve cast our net worldwide and received a significantly higher number of submissions. This is great. We LOVE seeing stories from India, Romania, and Australia! It’s fun to see a variety of stories and alternate worlds. The thing about spreading our net wide? Every year we get MORE stories than the year before. It’s awesome to have a varied selection, but it means we have to actually look at SO MANY stories. Before I started doing this, I would get frustrated when I heard that editors and agents only read the first paragraph of someone’s work. Now? I totally get it. Those first few words have to be compelling. If I read past the first paragraph and am intrigued, I keep reading. If I get halfway through the story and there’s no glaring editing to be done, and I’m still interested, the story goes in a maybe folder. If the first paragraph trips me up, it goes into the no folder. If I get part way through and find myself thinking “this is just like x” or I get bored, it goes into the no folder. If I get part way through the story and have counted up oodles of major editing needs, it goes into the no folder. By “major editing”, I’m not talking about simple typos. I can forgive quite a few of those as I’m prone to a few myself. I’m talking more about comprehensive editing where there are point of view shifts within the story, continuity errors that would take hours to fix, repetition within the prose, and other basic craft issues. Every once in a while, I find a story so intriguing that I’m willing to spend a few hours doing this kind of extensive editing. That’s pretty rare, but it does happen. The actual selection process for the anthology is a little tricky when you have two people reading stories. We have slightly different tastes, and sometimes I pass on a story that Mary really likes and vice versa. There are usually a number of stories that have a solid “yes” from both of us. When we both are loving a story, it’s a no-brainer to include it in the anthology. But what about the remaining slots? We basically look at the kinds of stories we’ve selected and fill in with stories to broaden the variety of settings and characters. We are committed to including a wide selection of gender expression, sexualities, race, etc. If your story is the only story featuring a transgender character, it’s likely we will go at greater lengths to make the story work. If your story is the only one featuring a person of color, we’re more likely to spend more time considering it. If your story is the only one set in ancient Sumeria…well you get the idea. Get information about new releases by signing up for my newsletter. I promise not to spam you, and get a free short story for your effort! Thank you! Check your inbox for links to your free short. Sign up for my newsletter and you'll get a free short story! "Birthday Boy" first appeared in Cheeky Spanking Stories edited by Rachel Kramer Bussell. You'll love this hot story about a woman getting her domme on for the first time. You'll get an email from me whenever I have a new story come out. I promise to not inundate you with meaningless crap just to stay in touch.